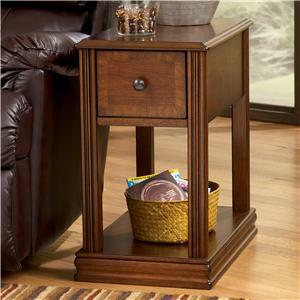 This contemporary end table features a mirrored top that will lighten up your living room and provides a great surface to put items on display. 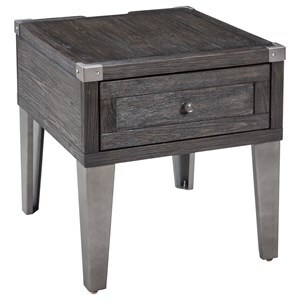 The end table's metal legs have a double X design and are finished in a black nickel color. 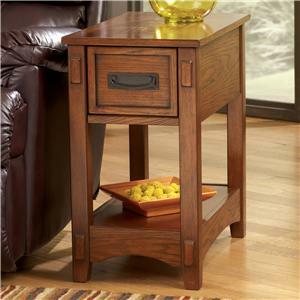 The 70547 Contemporary Mirrored End Table with Metal Legs by Coaster at Rife's Home Furniture in the Eugene, Springfield, Albany, Coos Bay, Corvallis, Roseburg, Oregon area. Product availability may vary. Contact us for the most current availability on this product. 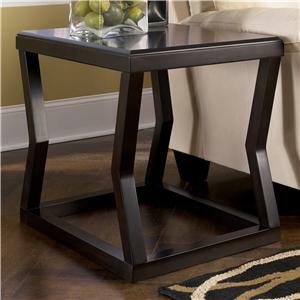 Description: Top Tempered glass is durable and easy to clean. 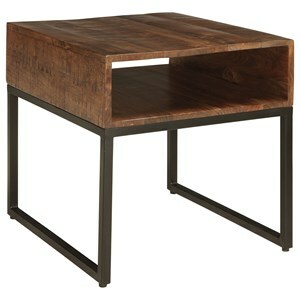 The mirrored top reflects light helping the space to look bigger, also providing a great surface for displaying items. 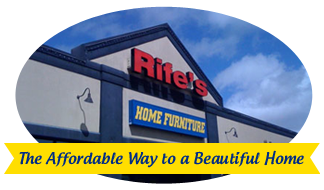 Browse other items in the 70547 collection from Rife's Home Furniture in the Eugene, Springfield, Albany, Coos Bay, Corvallis, Roseburg, Oregon area.